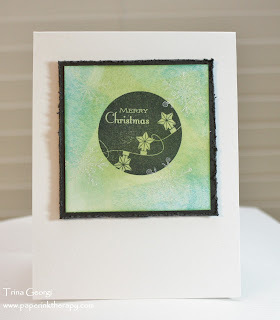 ﻿﻿﻿I stamped the image with Tuxedo Black, then used Ranger Peeled Paint and Broken China Distress Inks. 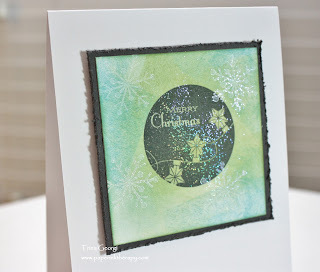 I then stamped snowflakes over it in white, and heat embossed it with a kaleidoscope embossing powder, which gave it a glittery shimmer. Trina, both cards are lovely! The first is so cute! The second so elegant. Beautiful work! Beautiful cards. 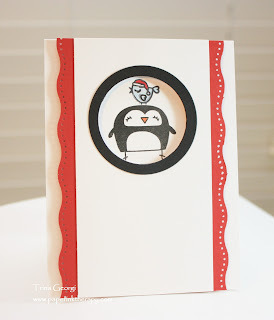 Gotta love the penguin! 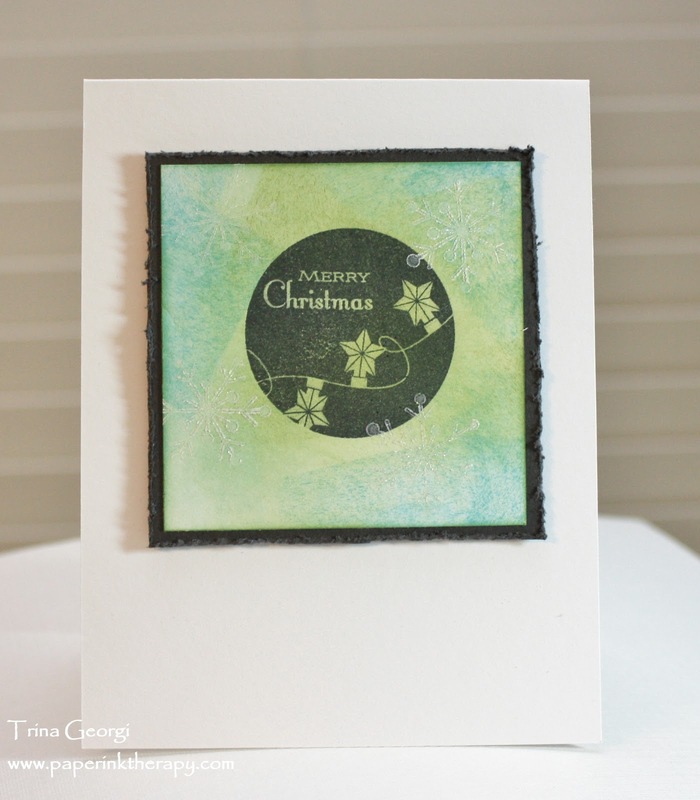 And of course the Merry Christmas with the shimmer is so festive. Thanks for sharing. I love how you incorporated the design elements from the photo into your card. Thanks for joining us on the Runway!